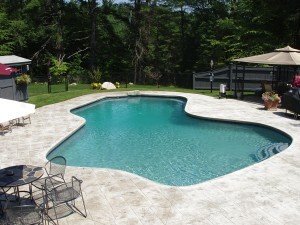 Check out our great pool special! Print the ‘Salt Generator Coupon (link below) and hand it to one of our salesman and we’ll include a free salt generator with your new pool! Salt generators help to eliminate red eyes, itchy skin and harsh odors and make the pool water silky smooth!